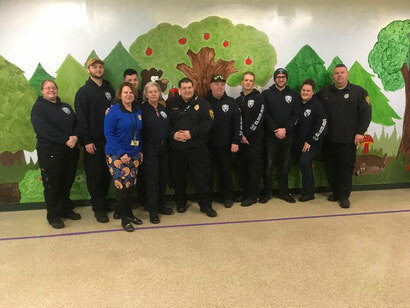 On Monday, January 28, Stafford Township EMS attended the Primary Learning Centers Great Kindness Challenge. This challenge is a positive, proactive bullying prevention initiative that improves school climate and increases student engagement. 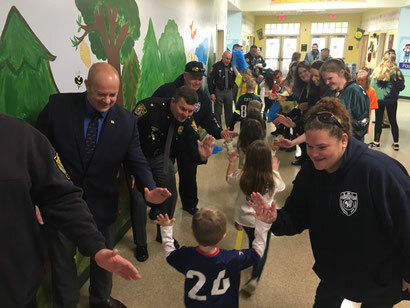 The Primary Learning Center had an assembly and a "community kindness tunnel" for the students to interact with fellow public safety personnel of Stafford Township, enabling each and every student to give them high fives and talk to everyone that take time out of their day to help the community. When schools sign up for this event, they are provided with tools that enable them to dedicate one week to kindness. Armed with a checklist of random acts of kindness, faculty and students can check off as many items on that list as they can in one week, transforming their schools climate to a safe space for all students. This nationwide event spreads kindness to over 10 million students, 15,000 schools, and 90 countries. 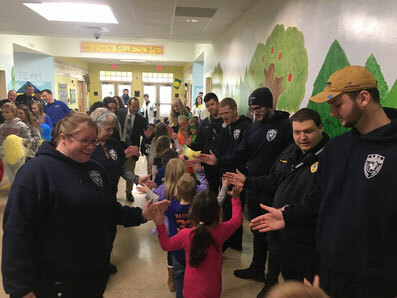 With officers from the Stafford Township Police Departments, the township mayor and various others, Stafford EMS was able to interact with the students and set an example for everyone. We care about our community. Most importantly, our members enjoy time they get to spend with the younger generation enabling our members to put smile on their faces. 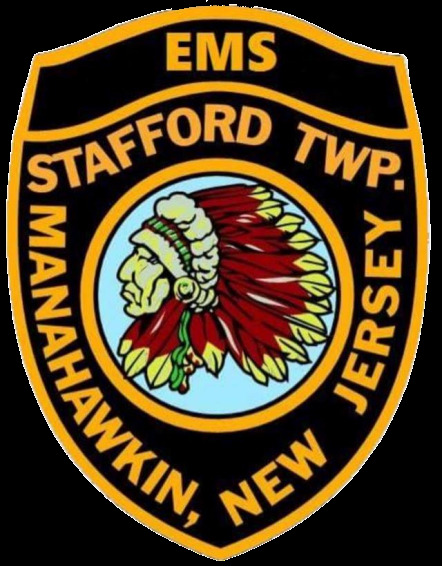 The Stafford Township Police Department, members of the township administration, and Stafford EMS are extremely grateful to work very closely with each other giving us the opportunity to attend events likes these. 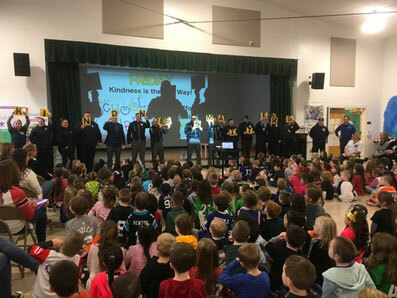 A special Thank You to school counselor Kelsey Schmidt and Principal Lori Coyne for inviting us to attend this event and participate in the Great Kindness Challenge!